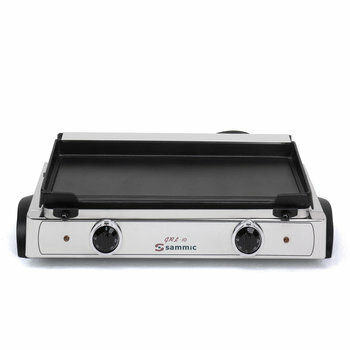 Double-sized smooth electric contact grill in cast iron alloy. Thermostatically controlled up to 250ºC. Front side fat collection tray.